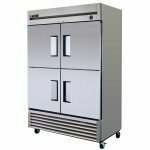 True ® manufacturing has been offering some of the best quality in commercial refrigeration to the food and hospitality industries for over 70 years. Commitment to providing the most efficient and state-of-the-art technology in their appliances is their total approach to manufacturing and performance, providing a smaller carbon footprint. Their appliances provide the food industry food safety, efficiency, cost savings and higher yields. Double pane, “Low-E”, thermal insulated glass door assembles with extruded aluminum frames; the latest in energy efficient technology. 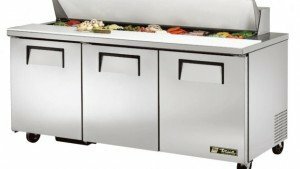 True ®’s engineers have designed some of the most efficient refrigeration systems, making these appliances an excellent choice for your commercial kitchen. By developing short run times, coldest holding temperatures and lower energy consumptions, resulting in faster product temperatures pulldown and quicker reclamation times. Food preservation is paramount. True ®’s fan motors have a life expectancy of 15-20 years and are matched with cabinets that will yield the best uniform temperature throughout the unit. 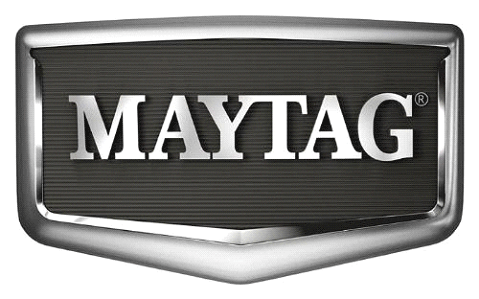 Their ecomate ® foam, a CFC-free insulating product is testimony to their commitment for sustainability, providing rigidity, strength and additional insulation factor with zero GWP (global warming potential). True ®’s commitment to producing only the best quality products manufactured in the U.S.A. is in the final inspection stage, performing test runs of every single model made. 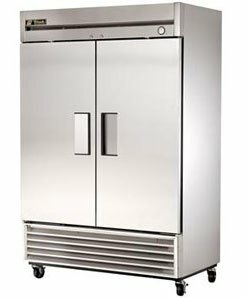 Every refrigerator is test-run for 4-6 hours and every freezer for a minimum of 16. Their units come with a standard 5 year warranty on the compressor/condensing unit, in addition to the one year parts and labor. Many of their appliances carry the Energy Star rating, exceeding energy efficiency expectations. True ® units are designed to display codes during certain processes and failures as shown in the table below. If you encounter any of the failure codes, refer to the installation manual for steps that may help clear it up. Several of the manuals are offered in 8 other languages, including Spanish, Dutch, French, Portuguese, Italian, Russian, Arabic, and Nederland. If the problem persists, LAFixit aretrue ® refrigerator and freezer repair specialists. We believe in fixing it right the first time. 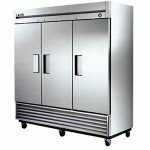 Our experianced technicians understand the urgency in getting your commercial appliance up and running as quickly as possible in the event your refrigerator or freezer fails. Additionally, True ® offers FAQ Technical Questions online with some trouble shooting tips. Even the best made appliances run into problems occasionally. When they do, LAFixit is your factory-trained professional that will deliver the best in class service for your units. When your refrigeration fails, LAFixit understands that several thousand dollars worth of food loss is at stake. Let us deliver the quality service you deserve for your investment. When your unit needs to have work done, one of the most important things to remember is to make sure to use a factory repairperson or an authorized repair service dealer. LAFixit will ensure you are receiving the best service and you can rest assured that genuine or approved True ® parts will be used. LAFixit technicians will provide you the peace of mind that the problem will be resolved in a timely and professional manner and the work is warrantied. Although we makes every attempt to keep a good inventory of parts, occasionally parts may have to be ordered. Not only does true carry an extensive inventory of parts available for immediate shipment, LAFixit has a wide network of suppliers ready to serve as well. Our refrigeration repair technicians make every effort to get the part in quickly. They are trained to understand those codes and will schedule an appointment for same day service when possible. Your satisfaction is guaranteed – they will take care of the problem while you take care of business. 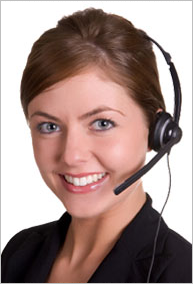 Contact LAFixit Customer Care at 877-523-4923 if problems persist.